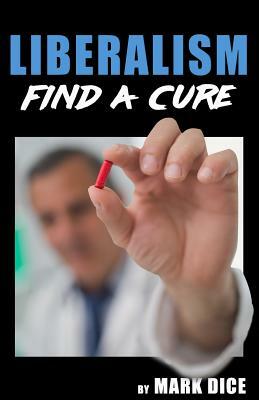 Liberalism: Find a Cure (Paperback) | Beach Books Inc. It's as if we're living in an episode of the Twilight Zone. Every day we are inundated by news reports, trending topics on social media, and new political movements promoting such bizarre beliefs about race, gender, sexuality, and life in general, that it's impossible in many cases to distinguish whether such ideas are serious or if they're a parody of what liberalism has become. Mark Dice is a media analyst and author who, in an entertaining and educational way, exposes our celebrity-obsessed culture and the role mainstream media plays in shaping our lives. Mark's YouTube channel has over 1 million subscribers and more than 300 million views, and his viral videos have been mentioned on the Fox News Channel, CNN, the Drudge Report, TMZ, the New York Daily News, the Washington Times, and other media outlets around the world. He has been featured on various television shows including the History Channel's Decoded and America's Book of Secrets; Secret Societies of Hollywood on E! Channel, America Declassified on the Travel Channel, and more. He has a bachelor's degree in communication from California State University, and is the author of 12 books.